KFC created a site at the clever kfc.co.uk/crossed-the-road URL to provide a list of all UK restaurants and the chicken status of each. They’re also offering rewards to people affected via the company smartphone app. On social media, the company was constantly providing updates, many with the fun approach of the ads. 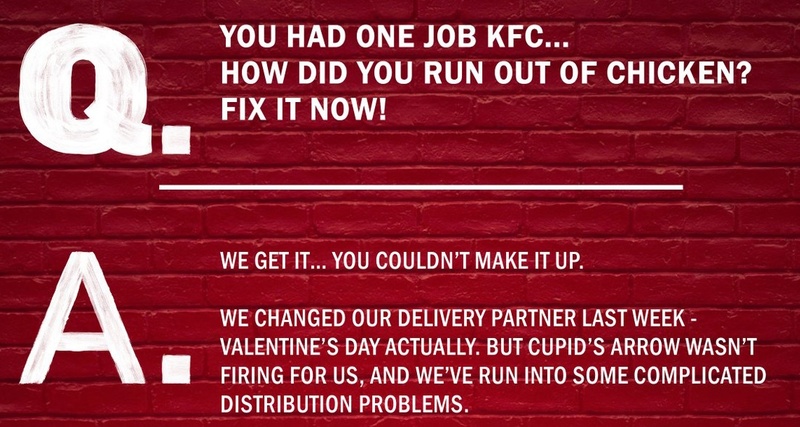 Based on what’s going down on social media, KFC has done a good job handling this crisis. They were quick to communicate, they were transparent in telling customers what was happening, and they did so in a fun way. 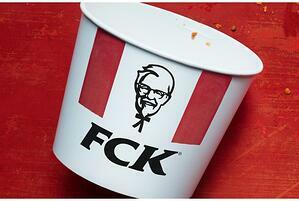 And, of course, other fast food companies jumped into the fray with a little friendly newsjacking. Cluck N’ Cleaver is offering free fried chicken to UK residents affected by the #KFCcrisis. All we ask is that they pay the delivery fee. When the crisis hits, speed and agility along with truthfulness and transparency wins the day.